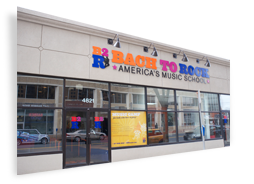 Bach to Rock (B2R), America's music school for students of all ages, announced today the signing of franchise development agreements with several franchise groups to develop three new schools in Arizona, North Carolina and Texas over the next year. New franchisees Wes and June Gross plan to develop three new schools in Arizona. This husband-and-wife duo, who have been married for over 40 years, plan to target areas within Scottsdale, Paradise Valley, Chandler and Gilbert and will bring the first Bach to Rock school to the state. Wes and June have always been inspired to create lifelong musicians and plan to open their first location in Fall 2016. Husband-and-wife team Tay and Kelly Foster plan to develop one new school in North Carolina. Attracted to Bach to Rock's ability to touch the lives of young people in their community, they plan to debut the brand in North Carolina in Spring 2016 and are targeting the Raleigh, Apex and Cary areas. Led by Brian and Beth Donovan, the new franchise group will help expand Bach to Rock's presence in Texas. The couple is looking forward to tapping into their passion for educating children by utilizing the Bach to Rock brand model. Their first location is planned to open in Summer 2016 in the Dallas suburb of Flower Mound. "We are excited to continue to expand Bach to Rock's presence in Texas and introduce the brand into two new states, North Carolina and Arizona. We're confident these areas will love and benefit from our variety of music programs," said Brian Gross, president of Bach to Rock. "With music and arts programs continuing to be cut due to diminishing school budgets, Bach to Rock helps meet the increased need for high-quality music education. We look forward to offering our fun, progressive curriculum to families across the country." Bach to Rock franchisees are provided with an array of tools to position them for success including extensive hands-on training, marketing and public relations support and a proprietary web-based management system, among other tools. Franchisees also benefit from multiple revenue streams such as individual and group classes, early childhood education programs, state-of-the-art recording studios, summer and winter camps, birthday parties and more. Bach to Rock is currently seeking qualified candidates to open franchise locations in markets across the country. Individuals seeking to own and operate a Bach to Rock should posses a minimum net worth of $500,000 and liquid assets of at least $100,000. While music experience or ability is not necessary, candidates should have a passion for music and be able to build a strong team of committed musicians to ensure the school's success. Franchisees can expect their initial investment to range from approximately $370,000 to $522,500, including a $35,000 franchise fee. Bach to Rock has repeatedly been named to Entrepreneur's Franchise 500 and was listed in the Top Ten Trending Categories for 2016. In 2014, Inc. magazine named Bach to Rock one of the fastest-growing private companies in America for the third consecutive year and Franchise Times' ranked it as one of the 500 Powerhouse Brands and on its Next 300 Franchise System list. In addition, Washington Family Magazine named Bach to Rock to its "Best Music Instruction" list and readers of Northern Virginia Magazine voted the company as "Best Piano Instruction". Bach to Rock also was named the number one company to watch by the Washington Business Journal. To learn more about music school franchise ownership opportunities with Bach to Rock, as well as its veteran and franchise referral programs, contact Ralph Rillon, vice president of franchise development, at 1-855-227-7570 or franchise@bachtorock.com, or visit www.bachtorockfranchise.com. Bach to Rock (B2R) is a music education school for students of all ages from early childhood through high school and beyond. B2R knows learning music should be fun and students learn best when they play music they enjoy. Weekly ensemble instruction and band formations lead to public concerts, Battle of the Bands and recording sessions in B2R's professional recording studios. B2R builds technique, fosters teamwork and enhances self-esteem through private lessons, band instruction, and public performances. Bach to Rock opened its first location in 2007 in Bethesda, Md., and has since grown to eleven schools in Gaithersburg, Md., Mclean, Va., Herndon, Va., Bristow, Va., Chantilly, Va., Leesburg, Va., Port Washington, N.Y., Wayne, Pa., Folsom, Calif., Mamaroneck, N.Y. Nearly ten franchised schools are in development in Arizona, California, Florida, Massachusetts, North Carolina, Texas and Virginia with a total of 30 schools sold nationwide. Follow B2R on Facebook at www.facebook.com/BachtoRock and on Twitter at www.twitter.com/BachtoRock. For more information, visit www.bachtorock.com or call 1-877- 227-8558.